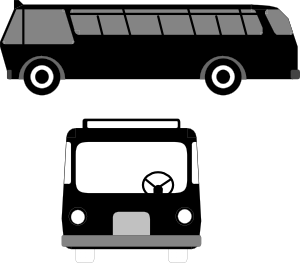 Did you know that if you take the public transit you can write off your passes on Income tax? I think this is awesome! Find out more about the federal income tax credit for weekly or longer duration public transit passes and electronic payment cards, and how the Government of Canada is encouraging the use of public transit to reduce air pollution and greenhouse gas emissions. What is the tax credit for public transit? On July 1, 2006, the Government of Canada launched its program to offer individual Canadians a non-refundable tax credit to help cover the cost of public transit. Because it is a non-refundable tax credit, anyone who applies does not receive the money in the form of a refund. Instead, the amount claimed is multiplied by the lowest personal income tax rate for the year (15% for 2007, 2008) and then is deducted from the amount of tax owed for that year. Visit theCanada Revenue Agency Web site for additional information about how to qualify and claim the public transit amount. What does the tax credit for public transit mean for me? If your monthly transit pass costs $100, the amount you can claim in 2008 would be $1,200, resulting in a tax credit of $180.00 (twelve months multiplied by 15%). You will be eligible to claim amounts you have paid for travel that occurs during the 2008 calendar year, but you must have proof of purchase. At a minimum you need to keep your expired public transit passes and receipts for electronic payment cards to support your claim. Visit theCanada Revenue Agency Web site for additional information about how to qualify and claim the tax credit for public transit. Who's managing this tax credit for public transit? The tax credit for public transit is being administered by the Canada Revenue Agency. If you would like more information on how to claim your tax credit, visit the Canada Revenue Agency Web site. Why is the government giving a tax credit for public transit? Canadians are concerned about traffic congestion and the harmful greenhouse gas emissions that come with it. Increasing the use of public transit, including buses, subways, commuter trains and ferries, will help ease traffic congestion in our urban areas and reduce air pollution that dirties our air and affects our health. The tax credit for public transit makes public transit more affordable for Canadians and provides clean air in our communities. Encouraging greater use of public transit is one element of the Government of Canada's environmental agenda to reduce greenhouse gas emissions and promote clean air.